Check out our Facebook page or sign up for our emails & receive a 15% off coupon weekly! 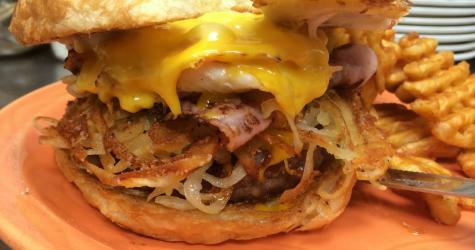 Our house made 50/50 patty topped with hashbrowns, ham, American cheese, a fried egg and bacon mayo served on a buttery croissant. It'll cure what ails you! Planning a shindig? 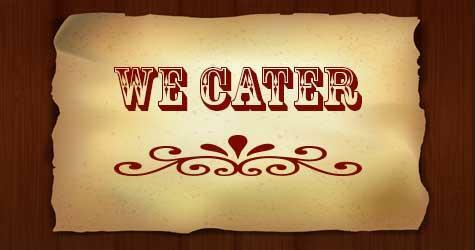 Events, company meetings, family gatherings, or whatever, be sure to check out our catering menu. Located in Monticello, Minnesota, just off the intersection of School Boulevard and Highway 25, Chatters is an independently owned and operated full service restaurant and bar with outdoor seasonal seating — serving lunch & dinner 7 days a week. A little about our food... In the ever-changing culinary world, one thing always remains constant: menus age quickly. So we decided to start fresh; both with our ideas and what we've put on our plates. From our hand-cut fries to our house-smoked barbecue, all the way to our desserts, everything is scratch made in-house every day! Because that's how it should be. 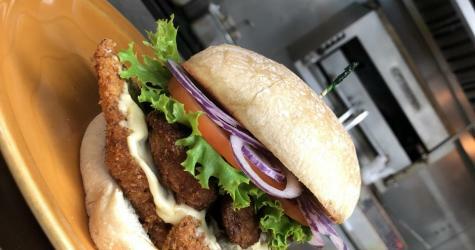 We take pride in our food, and we sure hope you enjoy eating it as much as we do making it! We hope that your visit helps you enjoy a special occasion with friends and family, celebrate the holidays, take a break and have a good meal or just get through the day. Late Night Pizzas every night! !